Will the current Apple TV simple evolve, or is Apple working on something much bigger? The iPhone 5 and iPad mini sections of the rumor mill have been churning nonstop as of late, but there hasn’t been any rumors surrounding the future of the Apple TV for quite some time. Today a report sheds more light on the future of the Apple TV by noting that Apple is in talks with major cable providers to stream live television to a set-top box. Apple is in talks with some of the biggest U.S. cable operators about letting consumers use an Apple device as a set-top box for live television and other content, according to people familiar with the matter. The report also notes that “Apple contemplated building a cable set-top box more than two years ago before it launched the latest version of its Apple TV.” Apparently Steve Jobs was “dismissive” of the idea because of how fragmented and complex the cable companies are. One of the main problems with licensing Hollywood content is that, for the most part, studios own the content rights, not the operators. Apple has always called the Apple TV a “hobby,” but the set-top box continues to sell more than one million units each quarter. Apple has also continued to add more content like Hulu Plus. Apple CEO Tim Cook said that the Apple TV was an “intense area of interest” for the company in an interview earlier this year. 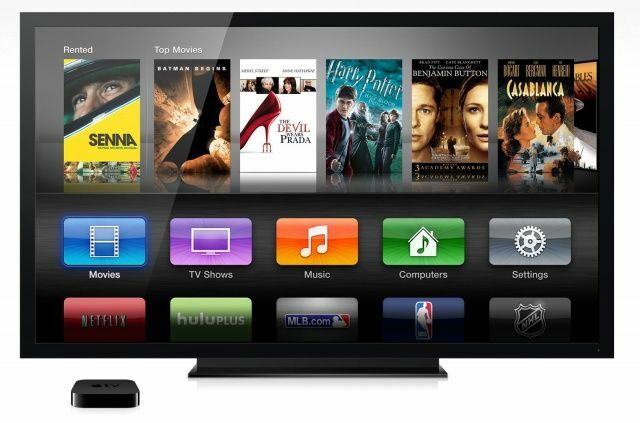 The Journal does not offer any further information on an Apple HDTV, but rumors from earlier this year said that the product would likely be announced by 2013.